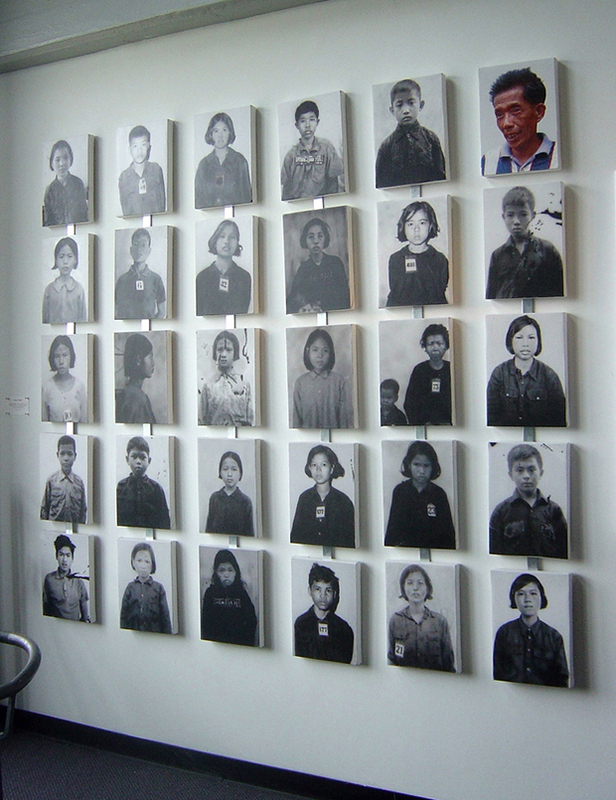 This is a wall installation executed in cooordination with the Cambodian Genocide Museum and the Yale Genocide Project. It speaks to the indignities these unfortunate subjects had to tolerate at the hands of their cruel captor Kaing Guek Eav, known as Comrade Duch, in the S-22 Tuol Sleng torture chamber and prison, formerly the high school in which he taught. Duch was part of the ultra-communist clique, the Khmer Rouge, that turned Cambodia into a vast slave labor camp and charnel house in which 1.7 million or more died of starvation, disease and executions. This one year project was emotionally devastating to paint, considering what each of these poor young souls had to endure.